A Grey Black, padded Dog Coat by Outhwaite. This coat is Waterproof, Windproof and Washable. 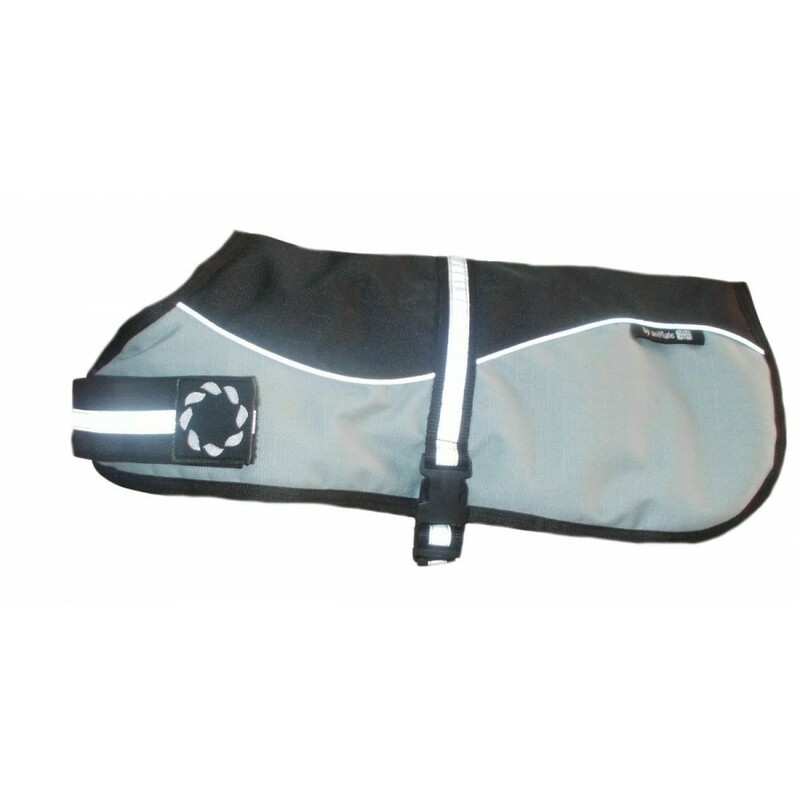 It is highly visable and will help to keep your dog safe on those dark Winter nights. Available in sizes 8 inch - 30 inch.